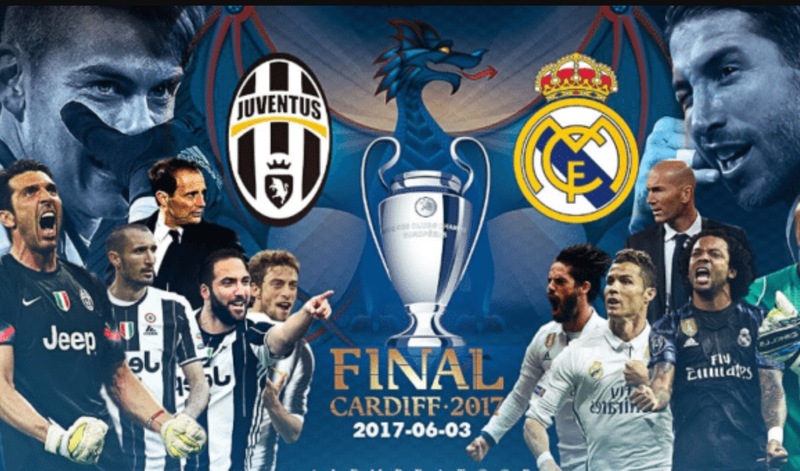 Tomorrow is the match all of us are waiting for, Juventus vs Real Madrid. I am going to give you all the information you need to know about these two teams. Juventus have played excellently this season and have won the Seria A and could win the Champions League. Higuain has played brilliantly and has been in a great partnership with fellow Argentine and Juventus teammate Paulo Dybala. Hopefully, they could show their greatness tomorrow. Everything has been on point for them this season. This is the team that is likely to win but I want Juventus to win. Real Madrid have been magnificent this season and always are. There is not really that much to say about this team, their defence is good, their midfield is good and their attack is unbelievable. This team has so many stars. James could leave to Manchester United or Chelsea. Hopefully, we get an unforgettable final. Follow and like my blog for more posts for the next season. On Wednesday, Bayern played Arsenal, Bayern have been on fire and Arsenal have been useless. Bayern were the team that pressed and got a goal. It was a quality goal by Robben, it was his type of goal. Lewandowski kicked Koscielny, a penalty was given. Sanchez missed the penalty, he missed the rebound but scored the other rebound. The first half ended 1-1. The second half started, Lahm whipped in a outstanding cross and Lewandowski finished it, 2-1 to Bayern. 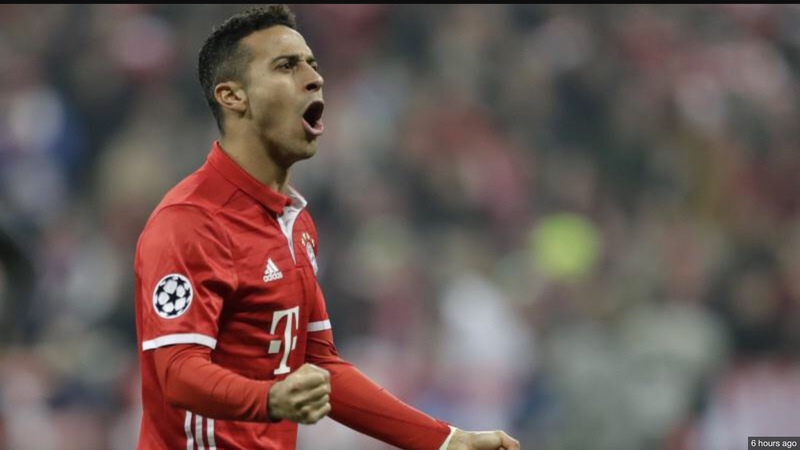 Not long later Midfield Marsterclass Thiago Alcantara scored a wonderful team goal and a skilful flick from Lewandowski. Later on, Thiago scored another lucky goal. It was a deflection by Xaka. Muller came on and scored to finish it off for Bayern. The game finished 5-1 for Bayern. Thiago is such a good player! This defeat causes a lot of worries for Arsenal and their manger’s future. Who do you think will be Arsenal’s next manager? Here is a review of the match we were all looking forward to. PSG vs Barcelona, both teams are in exceptional form so this game could be a open game. PSG started outstandingly with matchless passing and possession. Di Maria with his splendid ability to dribble and pass through any team, won a free kick. Who else but him to take it? He curved over the wall and into to the top corner. 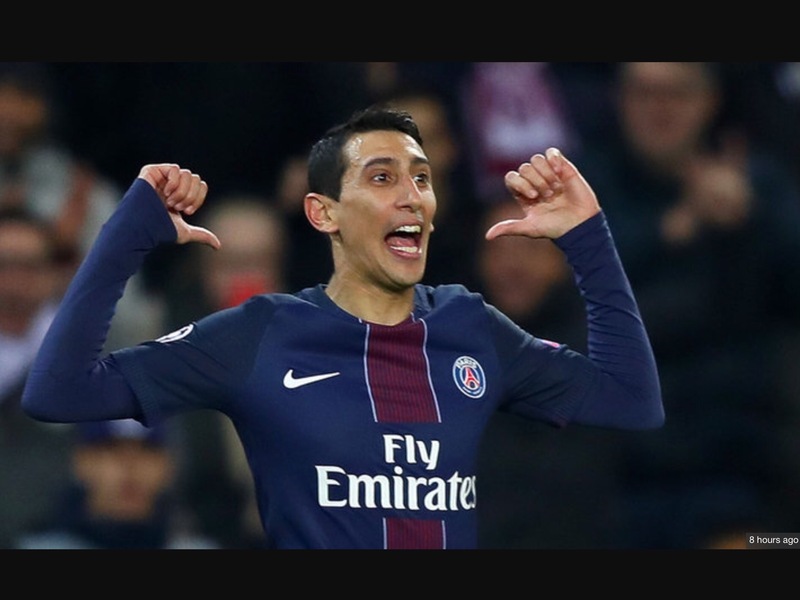 1-0 PSG. Barcelona still played garbage, it was Messi who normally performs in big matches who gave away the ball and went into Veratti’s feet. Veratti attacked their defence and unexpectedly passed to Draxler who was unmarked. Draxler took a world- class touch and powered into the goal! The first half ended 2-0 to PSG. The second half started, it was PSG who still pressed and Kurzawa passed it to Di Maria and dribbled through Jordi Alba which created even more space to score another supercalifragilisticexpialidocious goal 3-0 to PSG. Barcelona still didn’t learn their lesson. Meunier dribbled pass Neymar, for a right back that is quite impressive. He passed to Cavani and he scored to end the game 4-0 to PSG. What two birthdays for Di Maria and Cavani! Sorry this is quite late but I didn’t have any time before this. Chelsea started the game positively, unsurprisingly Chelsea scored. It was by Pedro, it was a cool finish. Burnley played well and got a free kick out of the box, their new signing Brady scored a superb unstoppable free kick. What a debut that was! The first half ended 1:1. As we all know there will be a second leg of Barcelona and Atletico Madrid. These two teams have been playing in good form so it is an open game. Barcelona got the first goal in the 43rd minute with a rebound by Suarez but a really good try by Messi. The First half ended 1:0. The second half started, Atletico pressed and nearly got a goal but it was offside by Griezmann. Sergio Roberto got a red card. Atletico got a penalty, Griezmann didn’t take it . This time it was Gamerio but he didn’t kick in the goal, he kicked to the fans!😱. There was another red card, it was shown to Carrasco. But Atletico still got a goal, it was by Gamerio! In the last minute Suarez got a red card, personally I think it is not a red card. 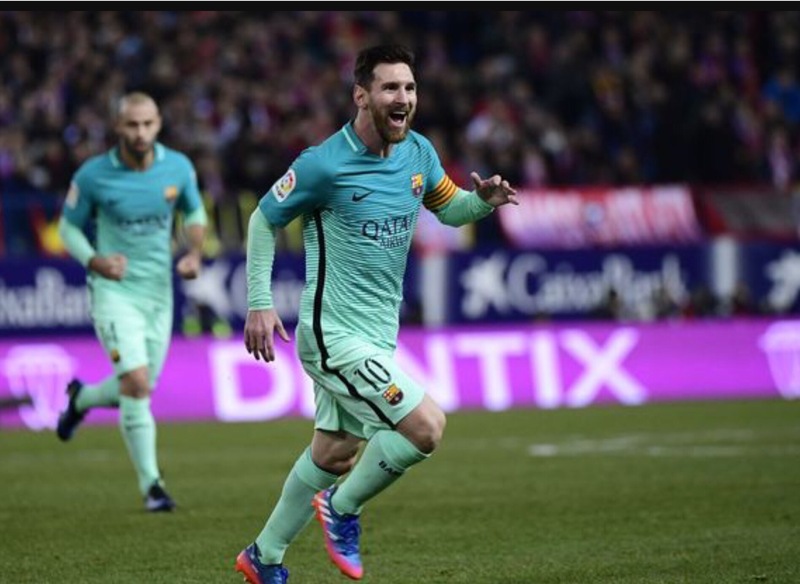 The match ended 1-1 but Barcelona won on aggregate. Chelsea vs Arsenal Premier League Review: REVENGE!!! Today Chelsea faced a low Arsenal side.The last time these two met Arsenal won 3-0 so Chelsea are looking revenge. Arsenal were again without Wenger. Both teams started well, Chelsea got the first goal though. It was a good try by Costa but Alonso got the rebound. Arsenal started a bit better but the first half ended 1-0 to Chelsea. The second half started, Hazard scored a goal of the year contender. 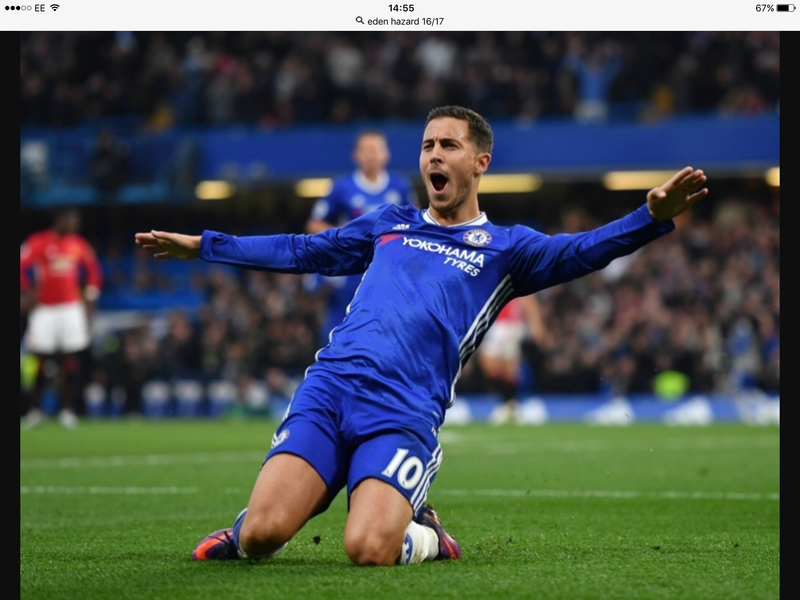 It was a fabulous solo goal by Eden. The score was now to 2-0. Cech did a bad goal kick, the ball went into Fabregas’s feet and chipped it over Cech. Arsenal got a goal back by Giroud in th 91st minute but it couldn’t help Arsenal. 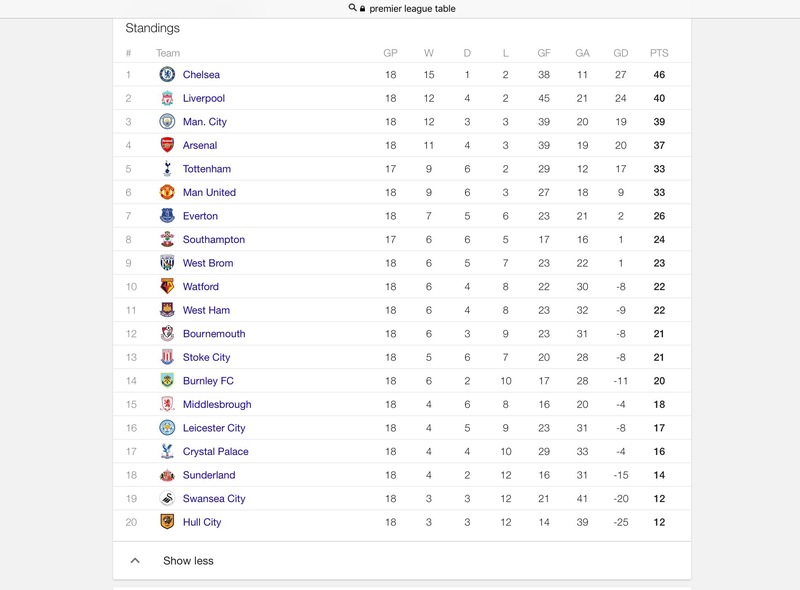 On Monday, Chelsea faced Bournemouth. Bournemouth have beaten Liverpool so anything could happen. 26 minutes into game, Pedro scored a Christmas cracker at the edge of the 18 yard box. Bournmouth had a few chances but did not take them. In the second half, Hazard was fouled in the box and got a penalty. Unsurprisingly, Hazard scored. At the end of the game Pedro scored an easy goal by his standards. Chelsea won the game 3-0! © Tyrese McIntosh and The Football Boy Blog 2017. Unauthorised use and/or duplication of this material without express and written permission from this site’s author and/or owner is strictly prohibited. Excerpts and links may be used, provided that full and clear credit is given to Tyrese McIntosh and The Football Boy Blog with appropriate and specific direction to the original content.